An Arthrostim is a specialized tool for improving a patient's range of motion in a specific joint. The arthrostim is considered safe for children, elderly patients and for patients where manual adjustments may be considered "too forceful." The arthrostim can be used like the activator tool, but can also be set to impulse at 12 times per second, allowing Dr. Dougans to carefully adjust joints with dynamic motion. Typically, a patient notices a dramatic increase in his or her range of motion, though results vary from patient to patient. A technique used to open up and distract the body's joints from one another. Diversified adjustments are characterized by a high-velocity, low-amplitude thrust, the goal of which is to restore proper movement and range of motion in the spine and joints. The clinic offers a chiropractic inversion table. 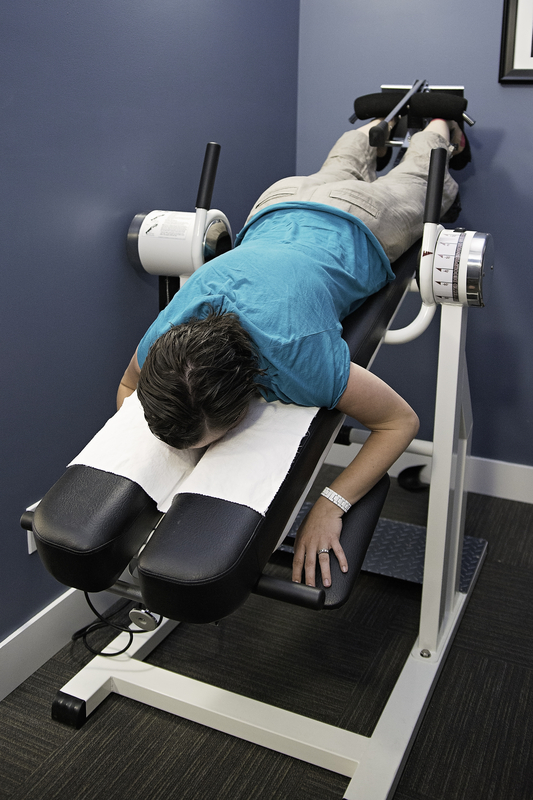 The inversion table allows Dr. Andrew Dougans to place a patient in inversion for traction of the body. What makes this table special is the ability to traction and decompress the patient's body while still allowing Dr. Dougans access to a patient's spine. The benefit is that joint mobilization and soft tissue massage can be performed while the spine and body decompress. Many conditions, such as disc herniations and facet syndrome, benefit from gentle decompression. "Phototherapy exposes the cells of the body to light, and particular wavelengths of light are able to produce photochemical reactions, stimulating the cells of the body into producing more energy. This increase in energy levels allows the cells to work more effectively in properly balancing the cellular components, so that the cells can function properly. 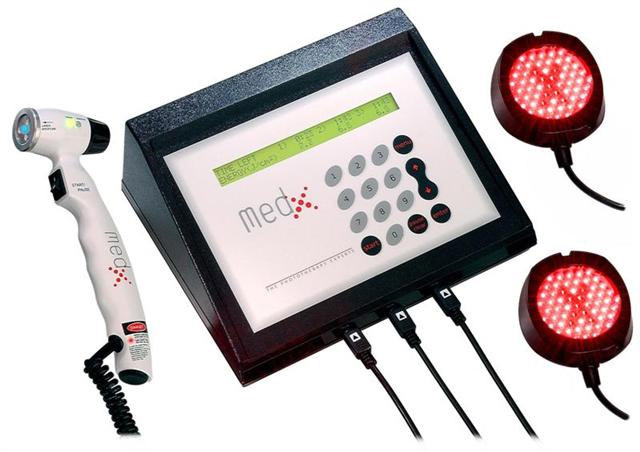 The laser light functions as biochemical energy and improves the efficiency of the body’s healing capabilities. The result is that the body is able to heal itself in a shorter period of time." Dr. Andrew Dougans believes that patients do better when a little extra time and attention is given to them. Massage and stretching techniques are vital to a patient's improvement. A vibracussor is a therapeutic massager with attachments specifically designed for different duties. 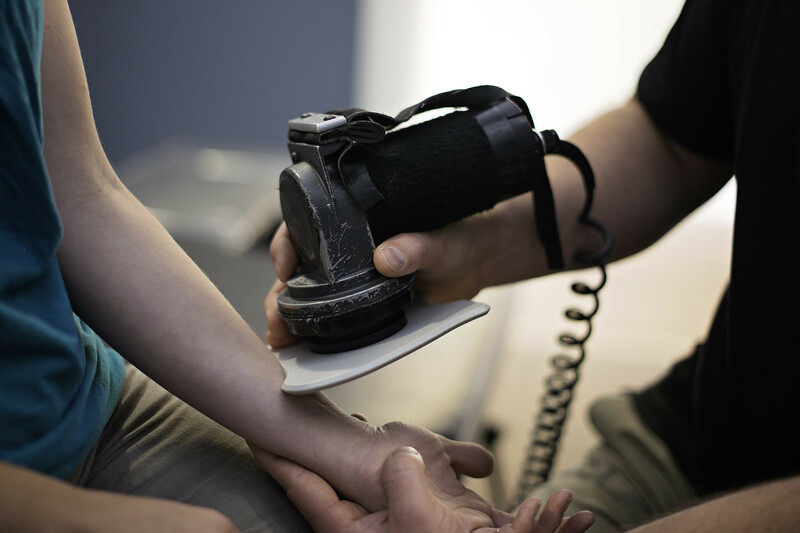 When the therapy edge is attached to the vibracussor, it becomes a great tool for addressing tendon and ligament injuries as well as myofascial adhesions throughout the body. Our clinic is across the street from the IGA grocery store.